"100 Smartest, Most Innovative, Hands-down Brilliant Companies "
CEO Ian Ippolito saw the potential of crowdsourcing. Now his company is raking in millions. "Inc 5000 : Fastest Growing Private Companies In the U.S."
Rent a Coder was awarded the prestigious Inc 5000 award for the fourth consecutive year in a row. "The eBay of Programmers "
"Help Wanted -- and Found"
Small-business owners are increasingly finding help for their high-tech needs in online markets like RentACoder.com where free-lance tech specialists compete to provide their services. CEO Ian Ippolito explains to CBS what vWorker (the company he founded and led) does, and how it saves customers money over traditional hiring. 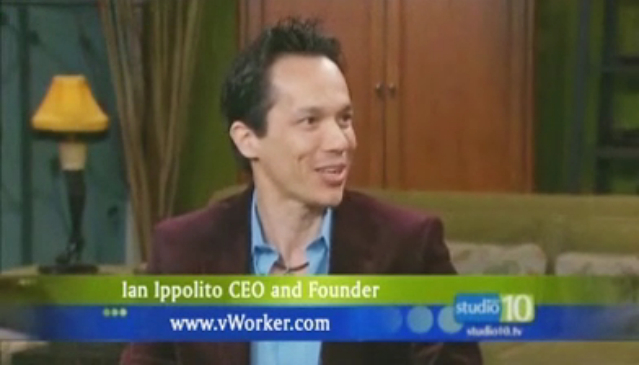 FOX news talks to a vWorker user and CEO Ian Ippolito about what vWorker is and the perks of working on the site... including playing XBox from your office. "The Woman Behind the Code"
An in-depth look at how a reporter used RentACoder.com to outsource a programming project and the programmer he ultimately hired. "How To Find And Vet Temporary Tech Talent"
Rule one when running small companies: Do what you're good at and delegate the rest. 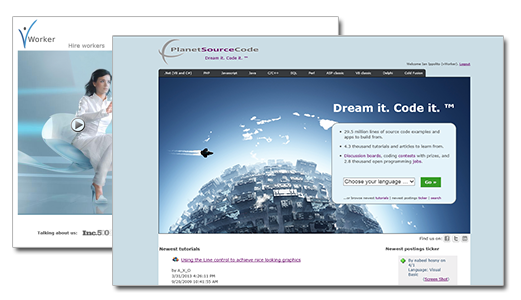 ... vWorker.com (formerly RentACoder.com) [is] a coder haven. No upfront fees to post work opportunities. "Outsourcing Can Be for Small Businesses Too"
Small businesses frequently need help with small projects that may not require a full-time employee. Fortunately, a number of websites have sprung up in recent years that can help you get the temporary help you need to move your company forward. ... vWorker is one of the resources out there. vWorker was awarded Technology Company of the Year Finalist award at the TBTF Industry Achivement Awards. "Tech guns for hire: 5 places to find skilled IT contractors"
Need outside help for your next IT project? vWorker features a host of freelancers specializing in everything from data entry to Web design. ... Offering both money-back guarantees for employers and payment guarantees for workers, the site wins major points for trust and transparency. Copyright © 2007-2019, Exhedra Solutions, Inc.